When, in 1868, a local man found significant amounts of gold in the Suisgill and Kildonan burns, Suisgill Estate became the centre of the ‘Great Sutherland Gold Rush’ and hundreds of would-be gold prospectors flocked to set up camp at the site of Baile an Or and try their luck. This gold fever was short-lived but recreational gold panning is still permitted on certain parts of the estate today and visitors to Suisgill are welcome to try their hand at this absorbing past-time. The technique of gold panning requires some skill and a lot of patience but it is fairly easy to pick up the basics and start your hunt for treasure. You are unlikely to pay off your mortgage with your findings as nuggets are extremely rare and, if you do find gold, it is most likely to be in the form of specks and very small flakes. However, for most, the fun is in the process of looking for gold and we’re sure that you and your family will enjoy sploshing about in the burn, regardless of whether you strike it lucky! Recreational gold panning within strict rules is permitted on two of the burns on Suisgill Estate. 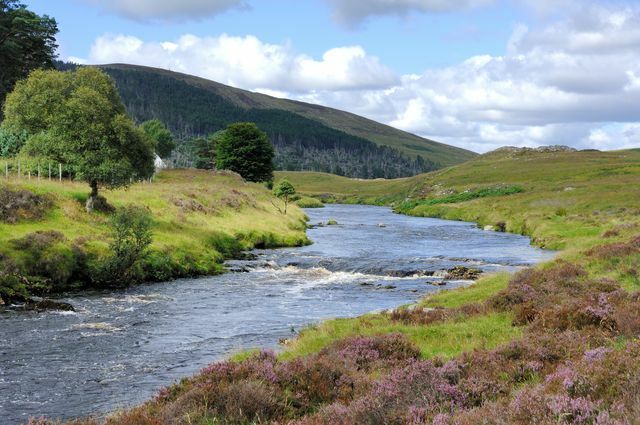 The first, Kildonan Burn, is located at the site of Baile an Or and a stretch of it is open, for a small fee (from 2018), to anyone to pan for gold for a maximum of two weeks a year. Free camping is available and panners are required to purchase a permit in Helsmdale. For a full list of rules, and details of where you are entitled to pan, please click here. Gold panning on the second, Suisgill Burn, is strictly prohibited unless you are a guest staying at Balvallioch cottage or Upper Suisgill Lodge on the estate. As such, you will be granted written permission, a copy of which you should keep on you at all times whilst gold panning as you may be asked to show it. For a full list of rules, information on how to apply and details of where you would be entitled to pan, please click here. When gold panning on Suisgill Estate, you do so at your own risk and the Estate will accept no liability for any accident or injury you may incur. To help protect the burns and ensure that gold panning can be enjoyed by all for many years to come, the permitted gold panning equipment is limited to a pan, a hand sieve (or ‘riddle’), a hand trowel, a small spade and a gravel pump with a maximum barrel width of 2.5 inches. The use of sluices is strictly prohibited. A gold-panning kit comprising a pan, riddle and hand trowel can be hired from Timespan Museum and The Garrison in Helmsdale. Gold panning equipment can also be bought online from Gold Panning Supplies UK.